Oby's Blog: Movies: The 'Equalizer' dominates box office! 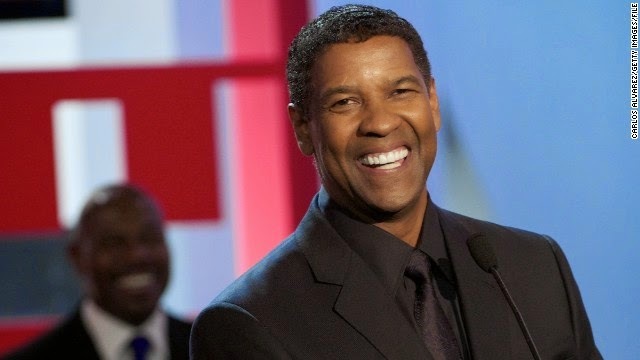 At age 59, Denzel Washington may have something new: a franchise. The two-time Oscar winner added to his string of successes this weekend with "The Equalizer," which had no equal at the box office, opening with an estimated $35 million in ticket sales. It's the 15th time in 15 years that a Washington film has debuted with $20 million or more, but not one of those movies has been -- or had -- a sequel, let alone a franchise. The essential rolesThat may change with "The Equalizer." It has been widely reported that Sony, the studio behind the action thriller loosely based on the '80s TV series, hopes it will spawn at least a sequel. The film's solid debut, one of Washington's best, certainly makes that a solid prospect. Of course, Washington's career itself is something of a franchise. As this weekend's box office shows, audiences are far from tired of seeing this star in star vehicles, righting wrongs and dispensing justice, violently when necessary. The only difference is that Washington, as he nears his 60th birthday this December, may finally be set to play the same character in more than one movie. A sequel is already in the works for "The Maze Runner," which yielded the top spot at the weekend box office, but managed to hold off the debut of the stop-motion animated film "The Boxtrolls" for second. Meanwhile, that other star for the senior set, Liam Neeson, didn't fare nearly as well as Washington, as "A Walk Among the Tombstones" slid from second place all the way to seventh. Ticket sales dropped by two-thirds in its sophomore weekend. As for the year's top movie, "Guardians of the Galaxy" is now at $319 million and counting in domestic theaters, ranking behind only "The Avengers" and "Iron Man 3" among Marvel's mélange of mega-hits.